Residents of Marysville in Sutter County have few choices when it comes to affordable bankruptcy lawyers. 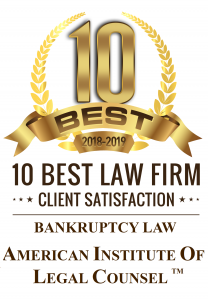 To help residents achieve debt relief at a price they can afford bankruptcy lawyer Adam Garcia charges only $900 in attorney fees for chapter 7 bankruptcy. Clients can drive to his Citrus Heights office or mail their documents to begin the process. To learn more about filing chapter 7 bankruptcy call Adam Garcia at (916) 596-1018 for a free consultation. Chapter 7 bankruptcy is the most popular form of bankruptcy in Marysville and Yuba City. In chapter 7 bankruptcy most forms of unsecured debt can be eliminated in a matter of months, not years. For instance, credit card debt is one form of debt that can be eliminated. Other dischargeable debts in chapter 7 bankruptcy include payday loans, medical bills and past repossessions. Not everyone qualifies for chapter 7 bankruptcy. Some people make too much money to be eligible for chapter 7 bankruptcy. Other people have filed chapter 7 bankruptcy within the past 8 years making them ineligible to file again within that time period. To learn if you can file chapter 7 bankruptcy you will need to speak with a bankruptcy attorney during a free consultation. In theory property can be sold in chapter 7 bankruptcy with the proceeds distributed to creditors. However, the vast majority of chapter 7 cases do not involve the sale of assets. When no property is sold the case is called a “no asset” chapter 7 bankruptcy. To protect property and make your case a no asset chapter 7 bankruptcy you will need to appropriately cite state exemption law with regard to each category of property listed in the bankruptcy schedules. More to the point, protecting property in chapter 7 bankruptcy is one of the chief reasons people hire bankruptcy attorneys. For a few hundred dollars in attorney fees you can protect thousands of dollars of property while eliminating thousands of dollars of debt. Many chapter 7 bankruptcy attorneys charge more than $1,500. The price often does not include the $335 court filing fee, credit counseling or a 3-source credit report. Likewise, Adam Garcia’s $900 fee does not include these expenses. However, many clients can avoid paying the $335 filing fee at the time of filing. The attorney can file an installment request with the court which will allow the client to pay the $335 fee over 4 months. With an installment request clients can file chapter 7 bankruptcy for less than $1,000 with Adam Garcia. The first step in any bankruptcy case is a free consultation with an attorney. The consultation is your opportunity to learn whether bankruptcy is in your best interest. Some prospective clients are advised to not file bankruptcy and pursue other debt relief options such as debt settlement. To take the first step in your path to debt relief call Adam Garcia at (916) 596-1018 to schedule your free consultation. There is absolutely no obligation to hire the attorney by making this call, but if you’re ready to start your bankruptcy the attorney can often begin working on your case right away.